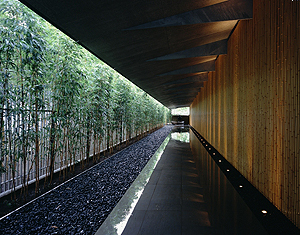 Nezu Museum is often described as the tranquil sanctuary reached through a bamboo passage just off of the bustling fashion district of Omotesandō. Regarded as one of the finest museums of Japanese and East Asian art, their collection boasts seven works designated as National Treasures. These, in addition to the 87 works designated as Important Cultural Properties and 94 Important Works of Art, join the vast collection amassed by Nezu Kaichirō I. The beautiful purpose built museum designed by the internationally acclaimed architect, Kuma Kengo, resonates harmoniously with the tranquil and verdant ground it sits on, complete with Japanese gardens and four traditional tea houses. Nezu Museum attracts visitors from close and afar in search of inspiration. Its appeal is timeless. The museum’s current director Nezu Kōichi, who is the grandson of the collector and son of the founder of the Nezu Museum, gives us a guide to the museum’s lasting charm. Sainsbury Institute (SISJAC): Nezu Kaichirō I (1860-1940) is an esteemed Japanese industrialist known for reestablishing the Tobu Railways. He had a strong passion for Japanese and Asian antiquities and campaigned for education. We understand that these interests together with his desire to create a space ‘to be enjoyed with the public’ encouraged him to collect exceptional pieces of Japanese and Asian art. The fact that he specifically focused on collecting Asian objects at a time when Western influences were fast transforming the cultural landscape of Japan is interesting. Furthermore, the museum built by his son, Kaichirō II, in 1941 in honour of his father, makes the Nezu Museum one of the earliest publically accessible museums in Japan. What, in your view, drove the two great men to achieve so much so ahead of their time? Nezu Koichi (NK): Kaichirō I had a canny eye and profound love for fine art and antiques. Around 1906 when he moved his residence to Aoyama area in Tokyo, Western culture and goods were rapidly flowing in to transform the way of Japanese life. Meanwhile, Japanese cultural goods—including rare and important items—were flooding out of the country at extremely low prices. Kaichirō I was very concerned about the situation and seemed moved by the idea to try and keep these works of art in Japan. He then began to cultivate a collection beyond his personal interest with a renewed sense of social duty. With the clear intent to form a collection of national importance, his collecting method was perhaps seen as being extravagant. For example, the makie lacquer writing box known as Hana no Shirakawa became a sensational story when Kaichirō I bought the masterpiece of Muromachi period at an auction for a record price in 1906. Kaichirō I defended his purchase saying that the benefit of the writing box staying in Japan outweighed its monetary value and he was willing to make any financial sacrifice that was deemed necessary. In this stride, he continued to collect voraciously. He should be proud to know the fact the writing box was later assigned as one of the Important Cultural Properties of Japan. My father, Kaichirō II, was entrusted with a collection of national pride. He was also given the task of creating a museum for the public stipulated in his father’s will. Kaichirō II began working on the museum a year after his father’s passing in January 1940 and made the Nezu Museum one of the very few pre-war privately-owned museums to have opened in Japan. To protect 6000 objects then in the collection at that time during the turbulent war years was, to say the least, difficult. My father often talked of the Tokyo’s air raid in 1945 that destroyed the entire museum site, and how relieved he was in the knowledge that the entire collection survived intact thanks to it being relocated ahead of time to an evacuation site. Kaichirō II was a man, like his father, with a strong sense of responsibility and duty. Pond in front of Tea House Konintei. 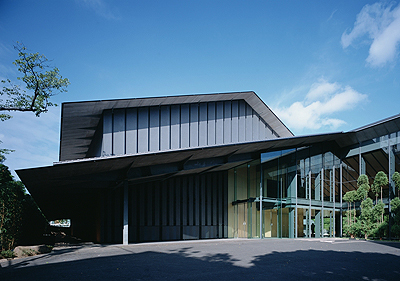 SISJAC: The current main museum, designed by Kuma Kengo, sits on the former main building’s site. Under your guidance and working with an architect famous for sympathetic treatment of the surrounding environment, the construction project took over three-and-a-half years from 2006 to complete. It was a major project including the demolition of three former storage buildings and the old museum. What prompted this big move and led you to appoint Kuma Kengo? NK: Following my father and grandfather’s footsteps, my mission is to safeguard the collection for the future, whether it is 50 years or 100 years from now. The first concern was to find a solution to the storehouses built some 70 years ago that were becoming old and unstable. I once worked with Kuma Kengo on a personal project and come to trust him very much. I was also inspired by his architectural philosophy and felt him to be the most capable architect to design a private art museum that is loyal to Japanese traditions and be a place the nation can share their pride. 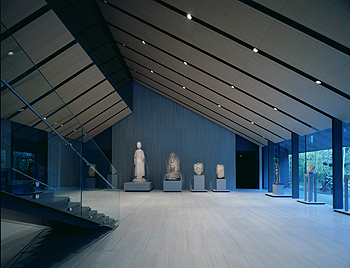 The first plan was to repurpose the exhibition space of the former shinkan (new building) as the new storage space. This involved the project becoming a very ambitious one indeed as it required an entire overhaul of the former exhibition space. The result is a state of the art storage site with an outstanding climate control and earthquake proof system. Rather unintended, the 2011 March 11 disaster would prove the efficacy of the building. When the Great East Japan Earthquake struck off the coast of Tohoku area, Tokyo too experienced a huge quake. When one of the curators rushed to another who was at that time working in the storage unit, she was discovered totally unharmed and even unaware of the tremble. The only request I made to Kuma for the overall design was to make it ‘Japanese’. I feel that he has wonderfully achieved this. I am particularly pleased with the view of the garden past the Buddhist statues and through the glass wall from the ground floor entrance. Not only is the building beautiful, but also the idea of bringing the outdoor landscape into the building is magnificent and typical of Kuma. SISJAC: Nezu Museum boasts some 7400 works of art including many designated as National Treasures and Important Cultural Properties. The collection encompasses a wide range of works representative of Japan and Asia with a particular strength in paintings and Buddhist art. The collection is truly impressive. In your view, what characterizes the Nezu Museum collection? NK: The collection was developed by Kaichirō I with the ‘public’ in mind and therefore is extensive both in genres and volume. And within each genre are works par excellence. It is quite literally a ‘treasure trove’. I am sure he sought expert advice at times, but I am nonetheless impressed by his aesthetic taste and instinct to have amassed such a prestigious collection. Another unique aspect is the overall atmosphere of the place. 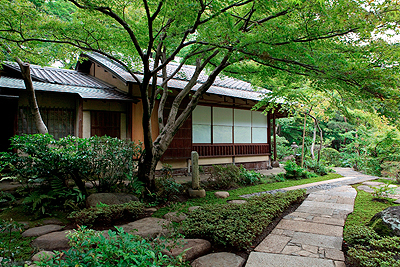 Nezu Museum is where the art, architecture and gardens comfortably meld as one. The space is one that offers tranquility, a feeling similar to the sense of security one feels inside a temple building. And to have a place to come and enjoy works of art carefully selected based on exhibition themes together with the seasonally changing Japanese garden right in the heart of Tokyo metropolis is perhaps wholly unique. SISJAC: You hold a number of special exhibitions separate from your permanent exhibition. Could you give us a sneak insight into what is to come? NK: We host seven special exhibitions each year, but as this year marks the fifth anniversary since our re-opening, we are holding a commemorative exhibition entitled Transforming Masterpieces: A Collector’s Love Seen in Artfrom 20 September. Ancient works of art we see today have been treasured through generations, and it is not uncommon especially for paintings to be removed from its original format and remounted afresh. Such repurposing under the order of aristocrats, shōguns and tea masters required considerable aesthetic and artistic knowledge. This exhibition is an opportunity to appreciate the historical pedigree of these objects. We would also like to work on exhibitions that contribute to the promotion of Japanese art through cultural exchanges with other museums with Japan interest. In 2012, we had a very successful exhibition, KORIN, featuring two pairs of six-panel screens. One pair was the beautiful Iris screens by Ogata Kōrin (1658-1716) from our collection together with magnificent Eight Bridges screens by the same artist from the Metropolitan Museum of Art collection in New York. We were encouraged that the exhibition was very well accepted. There are many who reside and visit Japan from foreign countries and we would like our museum to appeal to a wide international audience. 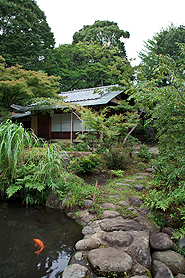 Tea house (konintei) in the garden. SISJAC: On a final note, what roles in your view do museums play in contemporary society? And how is the Nezu Musuem is positioning itself for the future? NK: In our current society, it is not uncommon for a Japanese not to be knowledgeable about Japanese culture. Museums, in my view, play a major role in educating and raising awareness on Japanese culture. It is particularly important for children to ‘see’ and ‘experience’ from at a young age. We are located in a very accessible area in the heart of the capital and I am always interested in ways of promoting the museum as a fun and friendly place to come and enjoy Japanese culture. My grandfather was a collector and my father was a keeper. Perhaps my role is to be the advocate.